SPRINGFIELD, Ill. (WTVO) - The Illinois Senate passed legislation Thursday aimed at forcing President Trump to release his personal income tax returns or be barred from the state's 2020 presidential ballot. The Democrat-led Senate voted 36-19 in favor of the bill. State Sen. Tony Munoz (D-Chicago) said, "If you want to run for vice president or president of the United States, hey, what’s wrong with providing your tax returns for the past five years?" according to WBEZ. Will not stand court test! Are they willing to show their tax returns in order to be on their ballot? $156 A Month From Social Security?? Show us your taxes, hypocrite. Where does the US Constitution require candidates show tax returns in order to run/hold office?????? I may have been unclear. But the Constitution is not silent on this matter! None of that refers in any way to the conduct of elections, ballots, etc. Well as tax returns were not around when the constitution was written that is moot. Why you say no is beyond me. When Democrats cannot win, they cheat. Meh, it's not like Trump has a chance in hell of winning Illinois anyway. Well then start a movement to get congress to pass a law! I'm sure Trump is terrified at the prospect of losing Illinois. While we're making up new rules, should we revisit an old one? His daddy was a citizen, that makes him a citizen. I hate Illinois Nazis. They're the worst kind. 1. Will not stand court test! Legal requirements for presidential candidates have remained the same since the year Washington accepted the presidency. 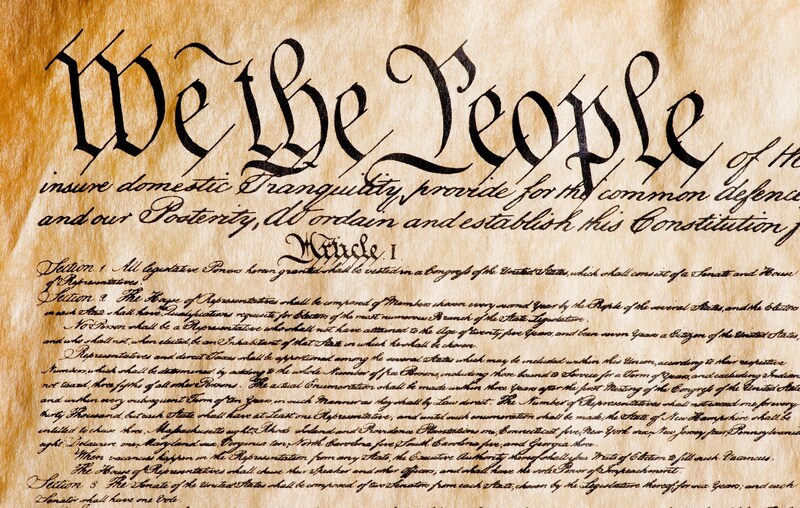 As directed by the Constitution, a presidential candidate must be a natural born citizen of the United States, a resident for 14 years, and 35 years of age or older. So they can waste all the time they wish. Maybe those dems should start in their own house and get Bernie to release his tax returns! 2. Are they willing to show their tax returns in order to be on their ballot? From the party that whines about disenfranchising voters. In 2016 38% of WA voters chose Trump despite the fact that HRC made his tax returns an issue. The Democrats want to keep all of those voters (who obviously didn't care about his tax returns) from being able to vote for him again in 2020. Democrats can't win on policy or results so they resort to this kind of crap. But this will not be held up in the USSC. No deductions; no unusual sources of income, no offshore accounts, no debts; $156 monthly in social security plus a modest federal pension. No secret shame; no hidden crimes. I think i may be shirking my civic responsibilities. all night long worrying about that. So when can I see those returns? 20. $156 A Month From Social Security?? Now I realize Social Security was never intended to replace the salary you made when you were working. But I thought it was more lucrative than THAT. 7. Show us your taxes, hypocrite. 8. Where does the US Constitution require candidates show tax returns in order to run/hold office?????? Under the Constitution, elections are run by the states and they have lots of leeway as to how presidential electors are selected. Financial disclosure would seem to be a pretty low bar for any honest man. If you're sketchy maybe you ought not be running for President. 19. It's not a deflection. It's pointing out that the Constitution is silent on such matters, and these things are indeed state prerogative. States can set whatever requirements they want for state officials, but the constitution governs national officials. A state cannot add or detract from the constitution on federal matters! 30. I may have been unclear. What I was trying to state was that when the Constitution is silent on a matter, as seems the case here, states are free to make their own regulations. 33. But the Constitution is not silent on this matter! What are the requirements to run for president of the United States? No person except a natural born citizen, or a citizen of the United States, at the time of the adoption of this Constitution, shall be eligible to the office of President; neither shall any person be eligible to that office who shall not have attained to the age of thirty-five years, and been fourteen years a resident ..
will be allowed to be on the ballot. Would that be fine with you After all the Constitution is silent on this as well. It does not say you cannot forbid people with certain last names from being on a state ballot! 36. None of that refers in any way to the conduct of elections, ballots, etc. Again, the Constitution is silent on the matter of how the states conduct election polling. Office eligibility requirements are a different matter. As for your somewhat odd question, you seem to be under the impression that I approve of this business with extorting Trump's tax return. I do not. I consider it to be a rather juvenile ploy, actually. I'm simply pointing out that it's very possibly constitutional. 37. Well as tax returns were not around when the constitution was written that is moot. But the guarantee of privacy is in the constitution and a govt. member seeking the personal information of a citizen without just cause is not allowed. And for a national election or for national office- the fed supersedes the state in determining who can and cannot be on the ballot! the only allowed restriction the courts have upheld is that if a candidate does not receive enough signatures by the citizenry to be placed on teh ballot. No personal, financial or even ethical questions can be imposed on a candidate to make them eligible for a national office in any state! It's what killed term limits, the Supreme Court ruled the Constitution defined the standards for National office, and the states couldn't modify it. Term limits were then declared unconstitutional. 38. Why you say no is beyond me. What you wrote in #34 I agree with! I meant to reply to Tovera (the post after yours). 9. When Democrats cannot win, they cheat. It is why I do not respect democrats. I wonder if these leftists realize just how stupid they are. 12. Yeah, that sounds legal. 16. Meh, it's not like Trump has a chance in hell of winning Illinois anyway. If you've got nothing to hide, you shouldn't worry about anything. Grant was an indifferent scholar. I don't think education matters as much as literacy; the ability to read and learn. Roosevelt was a cripple,. Kennedy had Addison's disease and Reagan was senile for most of his second term. Health may or may not matter but I think voters have a right to know. Taxes will show a lot about honesty and the likelihood of self-dealing which I think is key. The emoluments clause proves the founders thought it was important. Disclosure has been the norm as far back as I can remember. I think it should be a legal requirement. I don't see it as a gotcha, just common sense. Anyone who takes the people's dime and spends the people's dollar should be transparent about their financial dealings. available, but not grades and academic writings. Personally, I don't believe there's much value in this, but it always seems to be an issue. As far as the medical goes, you listed a whole bunch of things that were NOT known by the public prior to the election. It seems like this would have been information a voter would use to make an informed decision, though. And given that you're looking for evidence of honesty or corruption, requiring the 1040 disclosures means you don't trust the IRS to do their job on this, and that you believe a person's financial dealings can be accurately discerned from this form. Should anyone who takes the people's dime and spends people's dollars be transparent about their medical history? 29. Well then start a movement to get congress to pass a law! Until then , there is absolutely no requirement that a presidential candidate or president release his tax returns. But maybe the left should clean their own house first and demand Bernie release his long withheld tax returns before going after the person they hate the most! BTW they tried and failed at the emoluments clause! And maybe congress who actually are the ones who take the money, should be more specific in their returns! Instead of just giving vague ranges- let them release their returns before going after others. You know that old before you go after the splinter in anothers' eye- take out the log in your own. 28. I'm sure Trump is terrified at the prospect of losing Illinois. 31. While we're making up new rules, should we revisit an old one? Should Trump prove he is a US citizen? Or is that one still irrelevant? 39. His daddy was a citizen, that makes him a citizen. 35. I hate Illinois Nazis. They're the worst kind.